Promoting financial products is a very challenging task. Konstantin Rabin, head of marketing at Kontomatik, suggests how a bank can improve its marketing efforts by leveraging API technologies. A financial services marketer needs to at least combine the benefits of the offer with a sense of security. Needless to say, the larger the offered benefits are, the smaller is the sense of evoked security. This is extremely relevant when it comes to banking products. Let’s look at one of the simplest examples – an interest bearing bank deposit. Once a bank starts offering 6%, while the market rate is 2.5%, it will raise more doubts than demand. Next to this, it is quite an expenditure for a bank to actually raise the awareness about its offers. Typically a bank would launch an offline advertising campaign that portrays an interest rate next to some growing plants or a happy family. This campaign is not targeted. Meaning that if the offered interest rate is above a client currently gets, he/she might get curious. Otherwise there is no response to be expected. Such marketing is both expensive and ineffective. This is why we are going to take a look at how a bank can improve its marketing efforts by leveraging banking API technologies. While most of the fintech companies are obtaining their clients online, banks are still failing to offer a proper onboard process within the client’s browser. Typically a bank would use its website to offer a product that requires a branch visit, unless a person is a client already. The main reason for this is the regulation. A bank is required to confirm client’s identity before it can start handling the money. From the marketing perspective – this is wrong. A person is more likely to buy when the product is accessible within just a few minor steps and allowing website visitors to access the product in a matter of seconds should be every bank’s goal. This is where banking API comes handy. Most of us already have a bank account, meaning that at some point in time there was a financial institution that performed our KYC. With banking API technology it is possible to request a website visitors to authenticate using their current bank credentials, access KYC data from their current bank and use this data to open an account at the bank. Essentially it reduces the time spent on opening a bank account from hours to minutes. In addition, it allows to perform a truly digital process allowing the clients to register at the bank from the comfort of their homes. It is a major mistake for a bank to offer “one size fits all” types of services. Some clients might be looking for better deals on the deposits’ interest rates, others would be searching for an attractive FX exchange, and there will be some pursuing the lowest possible rate on the lending products. A bank can’t simply appeal to all of these segments with generic campaigns. Once a bank has triggered banking data import via an API technology, not only does it get access to KYC data for verification purposes, but it also receives transactional and account data. A smart bank will use this data to offer better deals for the client compared to the ones he/she gets at their current bank. Let’s say a person has just opened an account at HSBC by authenticating with his/her Barclays account data. HSBC learns that this client has a clean credit history and a loan of GBP 25,000 at 3%. What should HSBC do? Right, offer a limited time offer: a loan at 2.7% if taken within the next 24 hours. This way a bank can actually offer a more competitive product, but not too competitive. Instead of spending millions on outdoor advertising promoting its 2.5% loans, HSBC can start offering right rates to the right clients. It is a big mistake to assume that a client uses banking products from a single bank, yet banking API allows a smart bank to consolidate all of the banking products by simply offering better deals than elsewhere. Do you remember the times when it was actually quite an effort to switch to a newer phone? Today this is no longer an issue as most of your essential data like contacts, messages and settings are stored in cloud. Nevertheless, switching your bank account is still unpleasant. Unless your new bank uses API of course. With this technology it only takes a few seconds for the client to import all of his/her settings and start using his/her new internet banking system as effectively as the old one. While fintech companies are certainly taking a large slice of the banking pie due to innovative technologies, marketing is perhaps the second contributing factor. Banking API can be an essential element for speeding up an online onboarding process of any bank. This technology also allows to offer tailor-made offers and it simply makes a bank to offer a higher value to its clients. Also, in October last year EU parliament has adopted the new Payment Services Directive, PSD2. 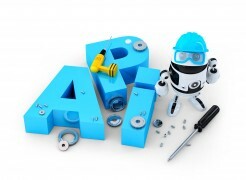 This makes banking API a reality. By January 2018 every bank will have to supply an API. Nevertheless, innovation is a trip that you don’t want to book last minute and if you work in banking industry, the time to think about adding banking API has come. Your focus should be on consumer behaviour, not good intentions. Optimove takes a step further in helping brands build an emotional relationship with their customers. Artificial intelligence (AI)-generated marketing campaign company Persado has unveiled a new product, along with a fresh $30 million credit facility to fuel further expansion. The efforts that yield the best results are the ones that are thought through and consistent.